Worry and stress can overwhelm people. But one thing that puts unsettled minds at ease is knowing how much God cares for us. 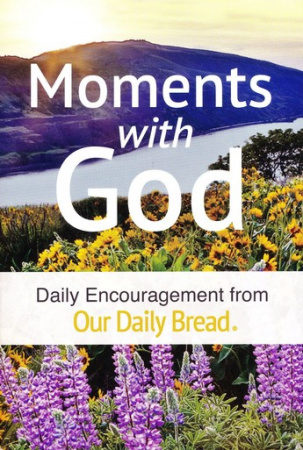 Moments with God: Daily Encouragement from Our Daily Bread gives hearts a daily reminder of God's love and protection. Each of these 365 devotionals offers insightful stories, quotes, and Scripture to encourage a fresh start every day.